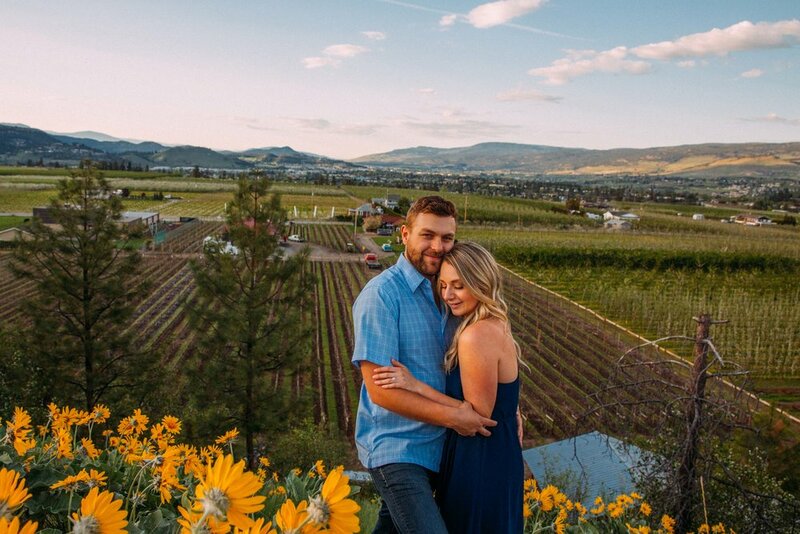 Montana and Felix fell in love in Kelowna, so it was fitting to capture their engagement photos there! By looking at these photographs would you believe this was their first set of professional photographs?! Naturals! 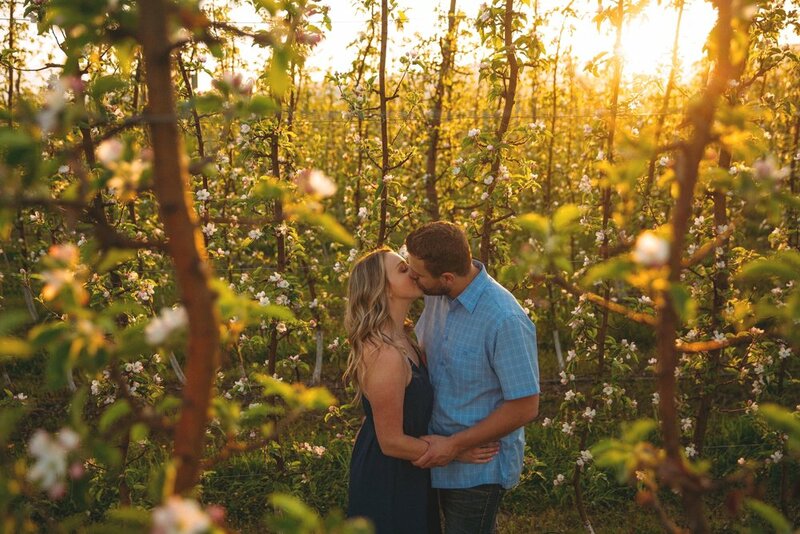 Montana envisioned her engagement photographs being taken in an apple tree orchard in bloom. 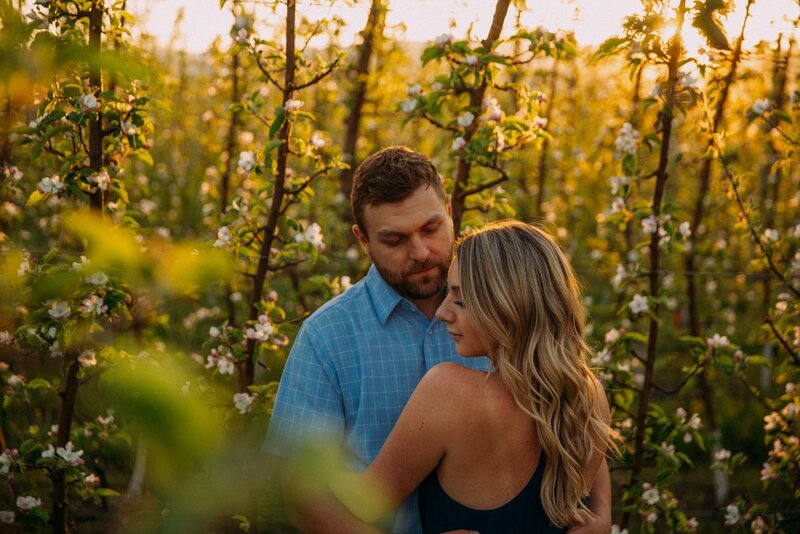 Planning to take engagement photographs in an orchard is a little bit tricky because apple trees only remain in bloom for three to five weeks. 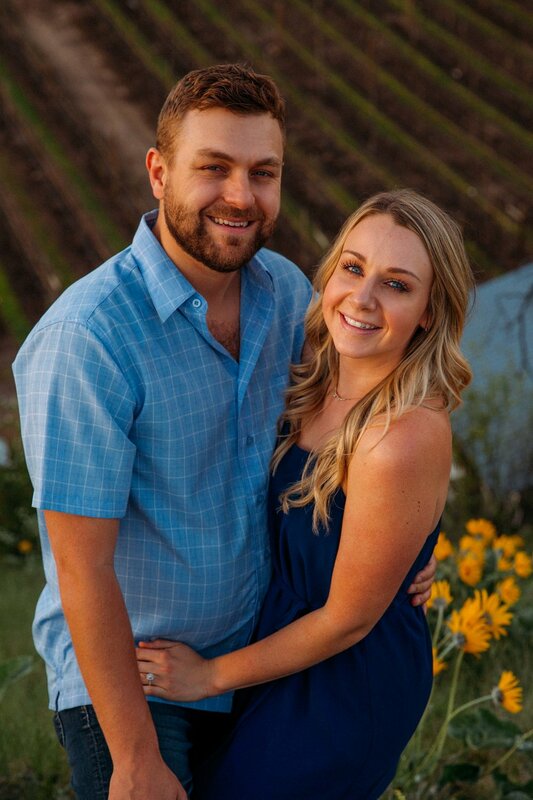 So we waited an entire year to take their engagement photographs! 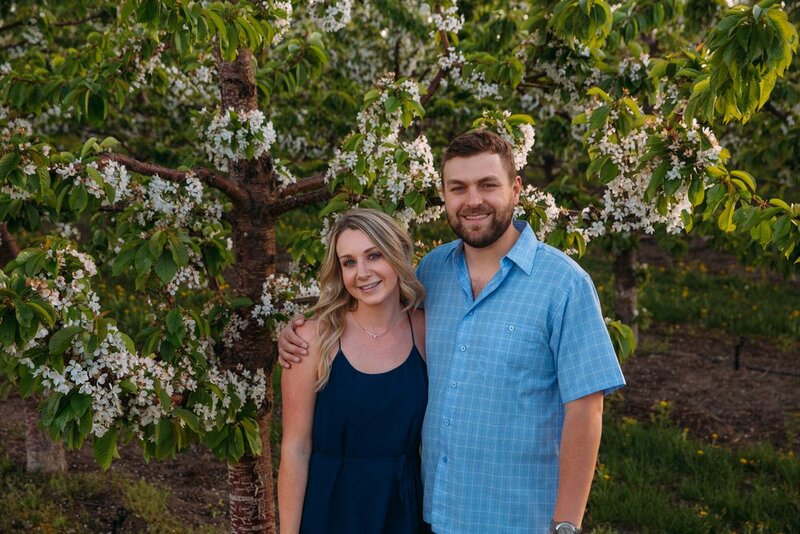 We checked the apple orchard multiples times to ensure we got the right moment for photos. It was a lovely coincidence that we were also able to capture pictures in a meadow of Arrowleaf BalsamRoot. These flowers are also known as the Okanagan sunflower, and they're the emblem of the City of Kelowna. These beautiful flowers grow in clusters throughout the valley for a small period between April - May. Talk about great timing! 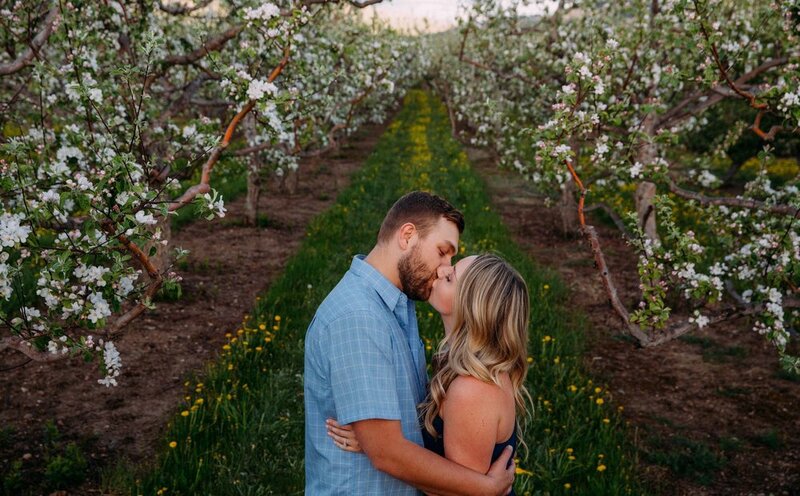 Walking and holding hands in a blooming apple tree orchard in kelowna Canada. Another thing we planned for the engagement session to be on a sunny day without rain. I generally prefer to photograph couples an hour before sunset. Gradually capturing the transition from normal colours to golden lit images. 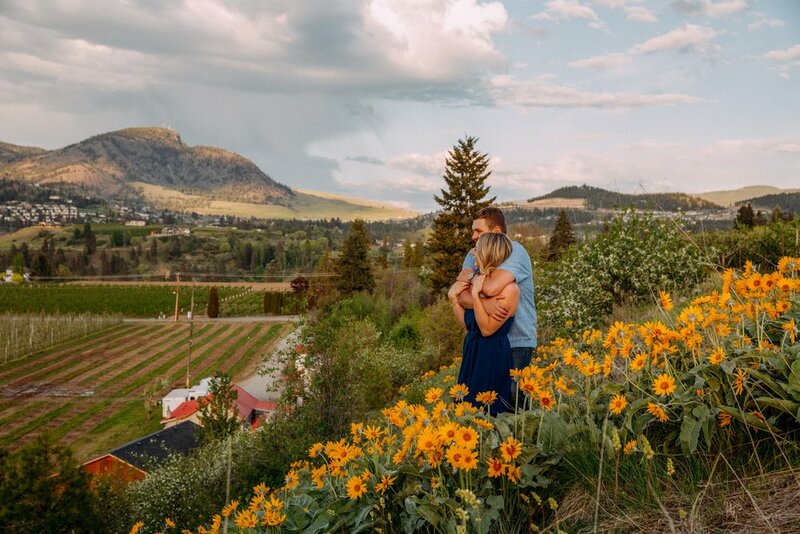 I’m incredibly grateful to have had the opportunity to photograph their engagement session in a beautiful orchard in the Okanagan Valley. It was totally worth waiting a year! As a photographer, I am always willing to wait for the perfect time of year to take engagement photographs. I’m excited to follow up this blog post with their wedding photographs!